It is 1941 and while some say death and taxes are the only sure things in life, American sports fans know different. 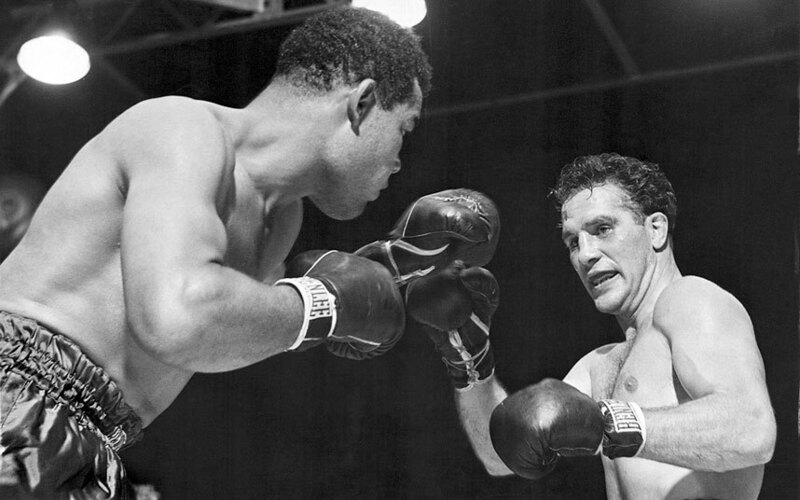 There exists a third certainty: Joe Louis will win his next fight. And then the one after that. And the one after that. Stony-faced Joe became heavyweight champion of the world when he made James “The Cinderella Man” Braddock’s clock strike twelve in 1937 and Louis had since proven so dominant, he now had no competition to speak of. He had defended his title 17 times, 15 of those wins inside the distance, and possessed an air of invincibility, such was his skill and power. His deadly accurate punches had laid waste to the division and he was forced to embark on a tour of frequent bouts against fringe contenders and club fighters just to keep the business of being heavyweight champion lucrative. It came to be known as the “Bum of the Month” club and its existence only bolstered Louis’ stature as the titan of the heavyweights, not to mention one of the greatest champions in boxing history. In both 1938 and ’39 he was proclaimed “Fighter of the Year” by The Ring magazine. The legendary Brown Bomber. Ink drawing by Damien Burton. In 1940, however, he was not. Instead that distinction went to the light-heavyweight champion of the world, one Billy Conn of Pittsburgh. He received it after his first full year of campaigning as a heavyweight and scoring big wins over Bob Pastor, Al McCoy and Lee Savold. This did little to make Conn a serious threat to Louis, but it did solidify the general perception that of all the no-hopers out there, the Irish-American Conn had the most hope. Regarded as, pound-for-pound, one of the sharpest and smartest boxers in the game, Conn was exceptionally quick and downright brilliant defensively. Louis, being well-schooled by trainer Jack Blackburn, employed some excellent technique of his own, but of course it was his crushing power that allowed him to dominate as he did. Thus Louis vs Conn was the classic match-up: the power puncher vs the clever slickster, bull vs the matador. And the high profiles of both men made it irresistible, even if few gave Conn more than a very slim chance. 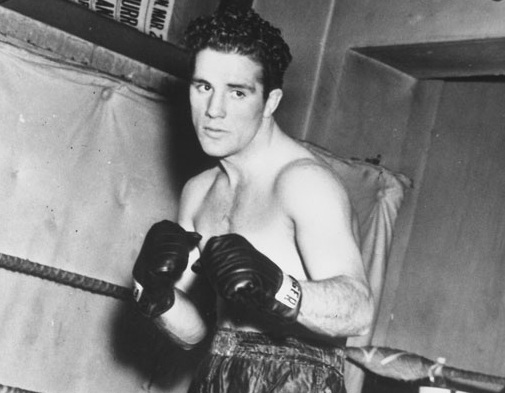 Light heavyweight champ Billy Conn. Almost sixty thousand gathered that June night, the largest crowd in the Polo Grounds since the famous Dempsey-Firpo brawl in 1923, and the atmosphere was positively electric, such was the curiosity and anticipation. Many sensed that maybe, just maybe, Louis finally had a real challenge on his hands. If not, it was still an alluring and high-calibre match-up, a clash of two dominant and popular champions. But the early going looked bad for the challenger. Enjoying a 25 pound weight advantage, Louis set the pace, stalking his man and landing some power punches to Conn’s belly before staggering him with a pair of rights in round two. But round three was a different story and by its end everyone knew, especially Louis, that no one was going home early. Conn’s jab started to find its target and the challenger wasted no time in bringing behind it some sharp hooks and right hands. 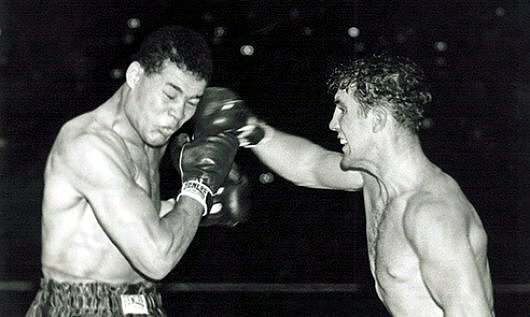 Constantly shifting and moving as he worked, Conn landed a hard right near the end of the third and immediately followed-up with a sharp one-two that forced Louis to do something no one had seen him do since Max Schmeling knocked him silly back in ’36: hang on so he could clear his head. Louis pursues the cagey Conn. In round four the astonished crowd had another rare sight: “Joltin’ Joe’s” knees buckled by a double right hand, Conn then springing to the attack, clubbing the champion with both fists and forcing him to retreat. 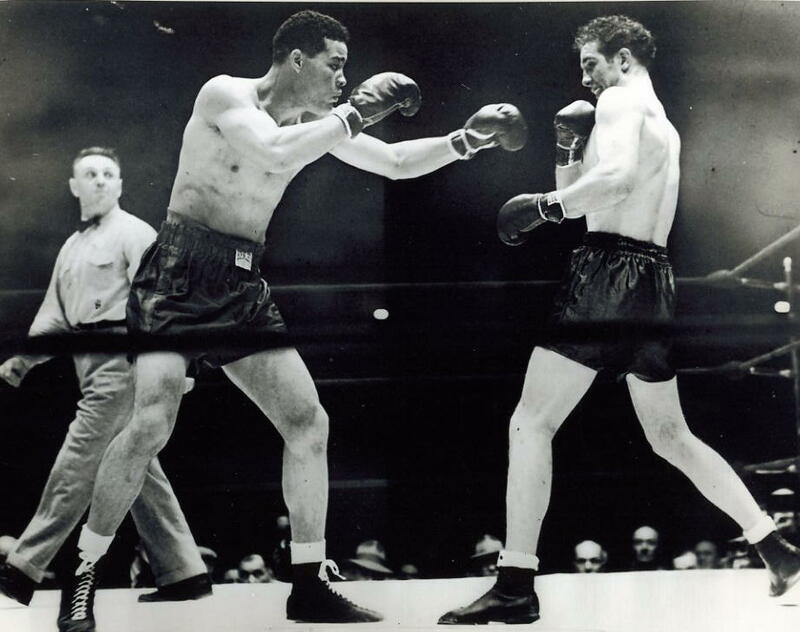 After four rounds, boxing fans knew their hopes had been fulfilled: the great Joe Louis was in a seriously competitive battle that was going to test him more than any of his previous title defenses. But in the very next round the momentum shifted dramatically, as it must in great fights, and as it would do in this one over and over again. Joe got home a heavy left to the body and seconds later a vicious hook to the jaw which staggered Conn and the challenger had difficulty finding his corner at the end of the round. Revived with smelling salts, Conn got back up on his toes in the sixth and had a better round until Louis caught him on the ropes and again pounded the ribs of “Billy the Kid,” the two champions exchanging heavy shots until the bell. The seventh saw the challenger constantly moving, staying one step ahead of the champion, and that set up the eighth and ninth which were all Conn. The end of the eighth left everyone bewildered as “The Pittsburgh Kid” swarmed Louis with his quick hands, striking repeatedly, rattling Joe with lefts and rights and appearing to have, suddenly, taken complete control of the contest. Conn could even be seen laughing as he moved in on Louis at the start of the ninth before dominating the rest of the round, battering the champion in a manner few thought possible. 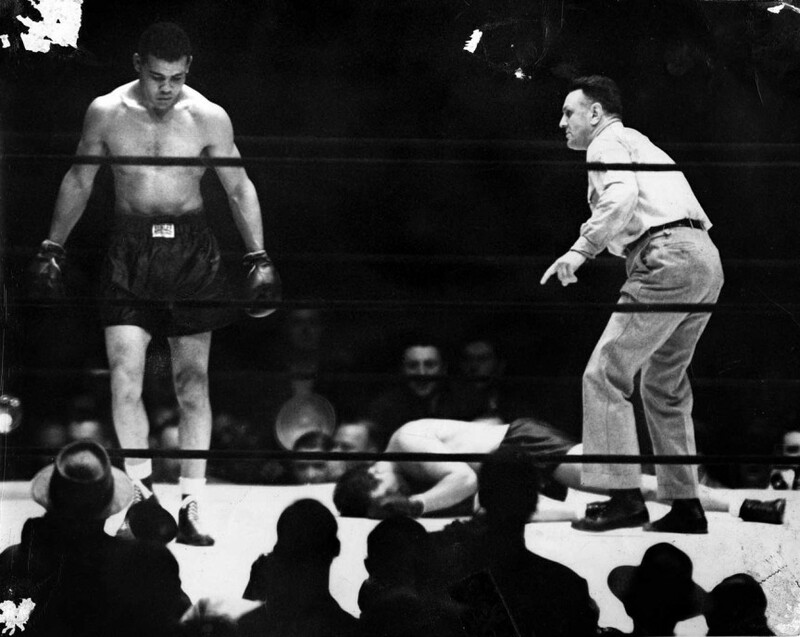 At round’s end, Conn told Louis, “Joe, you’re in a fight tonight,” and the champion replied, “I know it,” before turning to the safety of his corner. But Louis rose to the challenge. 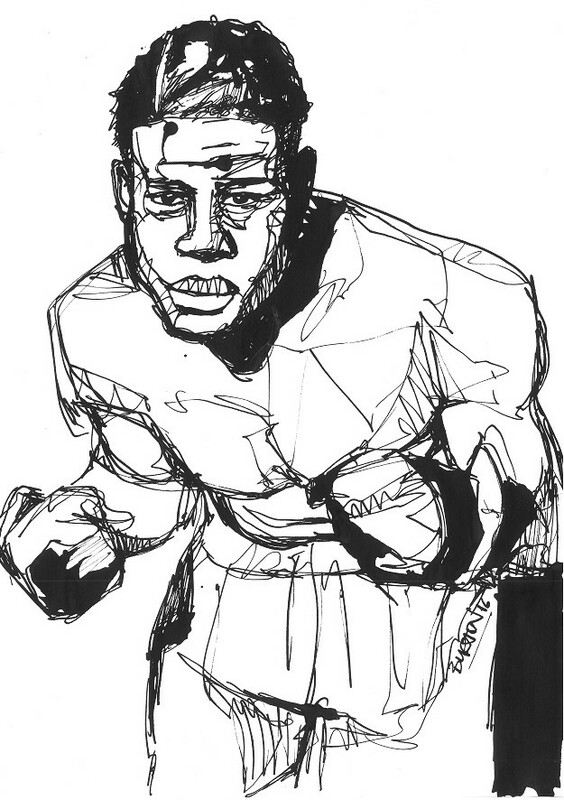 He continued with his body attack, showing great resolve, not to mention firm belief in Sam Langford’s old axiom — “Kill the body and the head will die” — and put tremendous pressure on his courageous, though significantly smaller, adversary. Again and again the crowd was brought to its feet as the two champions engaged in one prolonged exchange after another. Conn came back in the eleventh, using his excellent footwork to avoid Louis’ strongest punches and find angles for his own. And then came the twelfth, perhaps the most unforgettable of the fight. To everyone’s unbelieving eyes, there was Louis awkwardly backpedalling after absorbing a vicious left hook. The crowd came to its feet again and the stands of the Polo Grounds shook and trembled as the hunted had become the hunter. For the first time in his reign as champion, Louis was in full retreat, dazed and staggering, and no one was more grateful than “The Brown Bomber” when the bell finally rang. 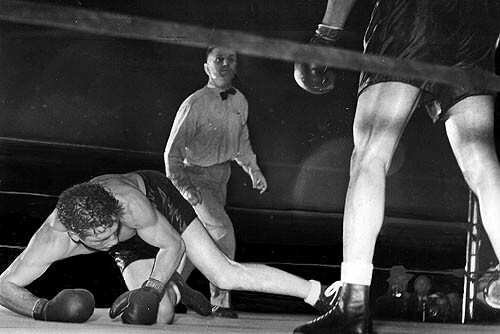 If world title fights in 1941 had been 12 rounds instead of 15, Billy Conn would have scored a tremendous upset by taking a close decision and winning the heavyweight championship of the world. Everyone sensed that the fight now belonged to Conn. Not only was he ahead on points, but he had badly shaken Louis and in the late going had dictated the terms. 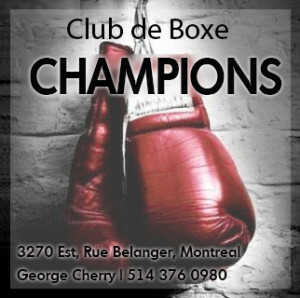 All he had to do was continue to box smartly and the title was his. But there were three rounds to go and Conn was about to make his first, and last, serious error in ring strategy that night as the bell rang for round 13 and the huge crowd roared in anticipation. Conn finally topples in round 13. Conn just couldn’t help being greedy. Or as some would say later, “too Irish.” He wanted to pick up right where he had left off at the end of round 12 and pursue the knockout that was so close he could taste it. He moved directly to the champion, cuffing him with a hard one-two to start the soon-to-be final round. Meanwhile Joe, who had just been told by trainer Blackburn that he needed a knockout to win, responded with appropriate urgency. The two warriors went toe-to-toe and Conn decided to stay in the trenches with the bigger and more powerful man, trading punch for punch, the intense exchange bringing the crowd to its feet again as the challenger unleashed another wild flurry of blows, before the inevitable finally happened. A heavy right from Louis staggered Conn and forced him to hold and abruptly all the energy drained away from the challenger. Louis doggedly pursued and what followed was a methodical battering. Flush right hands and uppercuts took their toll before a vicious right to the body seemed to render Conn helpless. Gone was all of the technical wizardry of “The Pittsburgh Kid” as he dazedly followed Louis around the ring and absorbed punishment. Louis heads to a neutral corner as Conn is counted out. A final, finishing volley of amazingly accurate power punches decided the battle, the last blow a right hand to the head that left Conn grovelling in the resin dust. Billy tried, but could not beat the count. The referee waved his arms and extinguished the brave challenger’s hopes of making history, the match in the end decided by Conn being too brave and “The Brown Bomber” being too powerful. 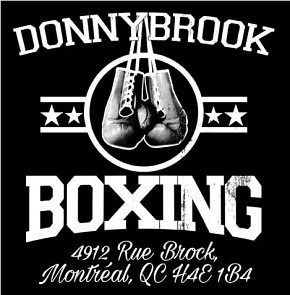 As the tale goes, when Louis exited the ring he encountered his manager, John Roxbury, who stood with a cigar protruding from the corner of his mouth. “How many of those did you swallow tonight?” asked Louis. Joe didn’t need to explain what he meant. Everyone at the Polo Grounds had swallowed hard more than once that night, having been thrilled by one of the finest and most dramatic championship fights in boxing history. Great article, Louis was my man. Wasn’t there a clause in the contract stating that Louis had to drop weight? 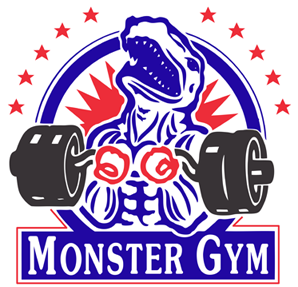 (to 200 pounds or 198). I remember reading about it and Louis say that it had been a huge mistake on his and his managements side and that he felt exhausted even before the first bell rang. A clause that was not agreed to in the second fight, to different results. I wonder if you can enlighten me on this point. I heard Louis did it himself just to look not too big. This is one of my all time favourite fights. Conn was brilliant, Joe was the Bomber. Makes for great ring study.